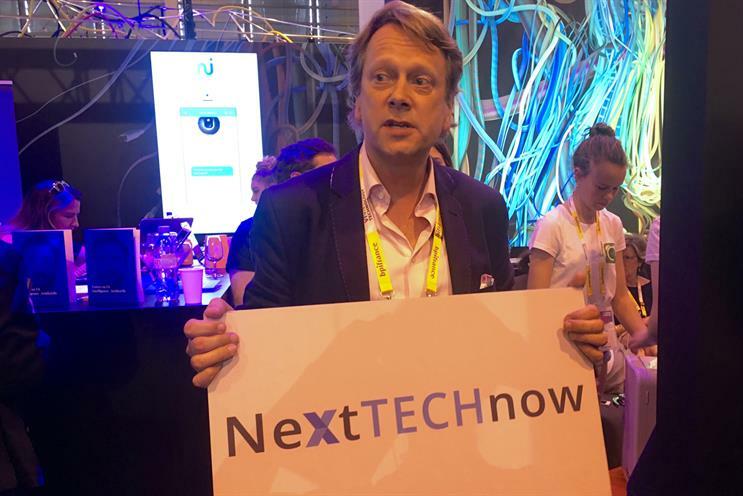 Publicis Groupe's brand and start-up matchmaking unit NextTechNow evaluated the 4,000 start-ups that exhibited at Viva Technology Paris and identified those that may be most useful for brands. "Our role is to look for start-ups we can evaluate and integrate," explained Jim Kite, NextTechNow's global lead to the tour group. "We're in five markets now but we intend to be in 15 markets in a year." The first stop on the tour was Kino-Mo's booth, a London-based company that's invented a cost-effective and scalable alternative to traditional hologram installations for brands and retailers. 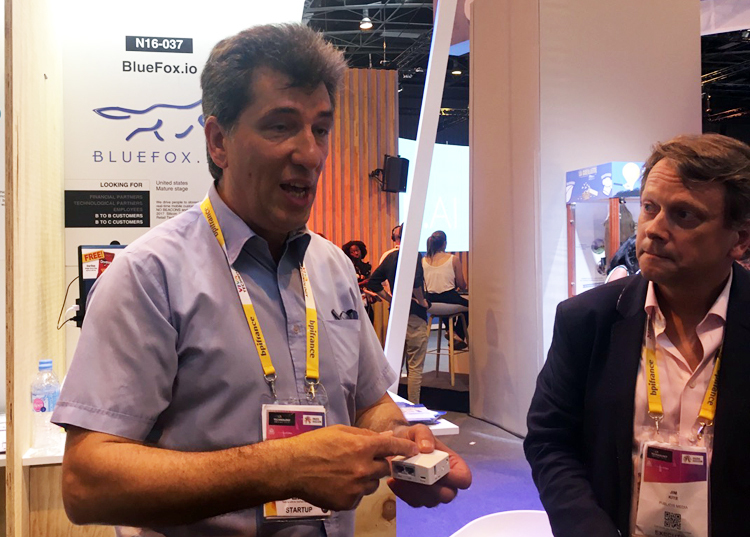 California-based Bluefox.io has patented a tech solution that offers retailers and brand real-time mobile customer engagement with no apps, beacons or technical set up needed. Using existing Wi-Fi networks, retailers can target ads at consumers when their mobile phones come within range and gather data on ads served in store or the impact of promotions on retail. TracxPoint hopes to get its smart shopping cart, Tracx & Go into supermarkets soon. The cart uses visual recognition technology to immediately detect groceries placed into the cart (the prototype in the video isn't quite up to that yet) and additional sensors add and deduct the cost of each item placed in, or removed from the cart, weighing the product for extra security. The carts will then automatically deduct payment from a user's account when they leave the store, or when they check out. TracxPoint will earn a percentage of every transaction and will also own the data gleaned from each item purchased. Augment has used its AR technology expertise to produce two offerings based off Google's Tango platform. First, it allows brands to upload standees and vending machines into its platform for retailers to virtually position in-store. But more interestingly, it has partnered up with online retailers so online shoppers can see how a product looks in their home before purchase. The software-as-service company helps brands and media agencies grow, manage and measure their influencer relations at scale. 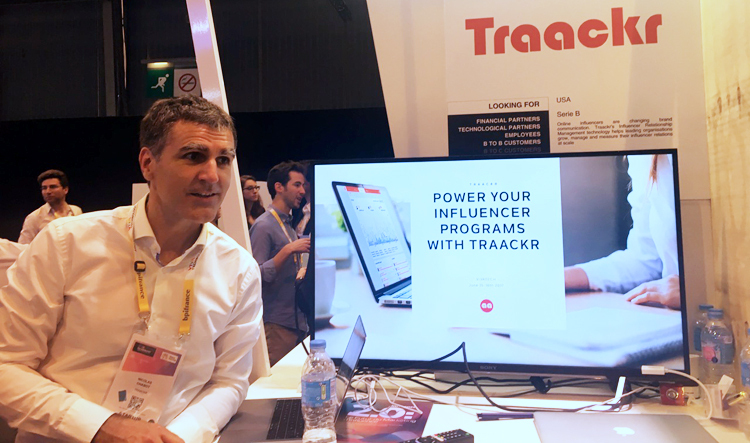 The platform also lets brands see which influencers their rivals are using.